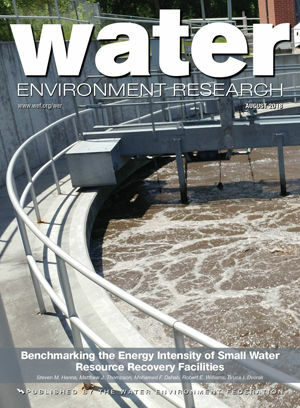 Click to access the August 2018 issue of Water Environment Research. Potable reuse can bring many benefits, even when compared to typical water management practices. University of Nevada (Reno) researchers conducted a triple-bottom-line assessment of the benefits of reclaimed water management strategies. Their article, which appears open-access in the August issue of Water Environment Research (WER), presents their work examining how potable use of reclaimed water can preserve ecosystems while meeting a growing demand for safe, local drinking water. The article, “Sustainability Assessment for Indirect Potable Reuse: A Case Study from Reno, Nevada,” presents quantitative and qualitative impact assessments of social, environmental, and economic criteria. The potable reuse scenario provided more environmental and social benefits than other “status quo” scenarios, the article says.